Ontario added a 4.3-cent carbon tax to every litre of gasoline sold. Alberta's levy on regular fuel was 4.49 cents per litre. A January spike in gasoline prices has done little to disrupt the Canadian vehicle market, a dealer association economist said. Statistics Canada reported Friday the consumer price index rose 2.1 per cent last month from January 2016. The increase was spurred in part by rising crude oil prices and higher gasoline prices in Ontario and Alberta, two provinces that implemented a Jan. 1 carbon tax. Ontario added a 4.3-cent carbon tax to every litre of gasoline sold. Alberta’s levy on regular fuel was 4.49 cents per litre while it added 5.35 cents per litre to diesel. The idea behind the tax is to encourage people to drive more fuel efficient and electric vehicles or to take public transit. In Alberta, prices for gasoline rose 33.9 per cent, which Statistics Canada said was partially attributed to the carbon tax. Meanwhile, gas was up 20.4 per cent in Ontario. "These increases coincided with the Ontario government's introduction of a new cap and trade program," Statistics Canada said in a report. 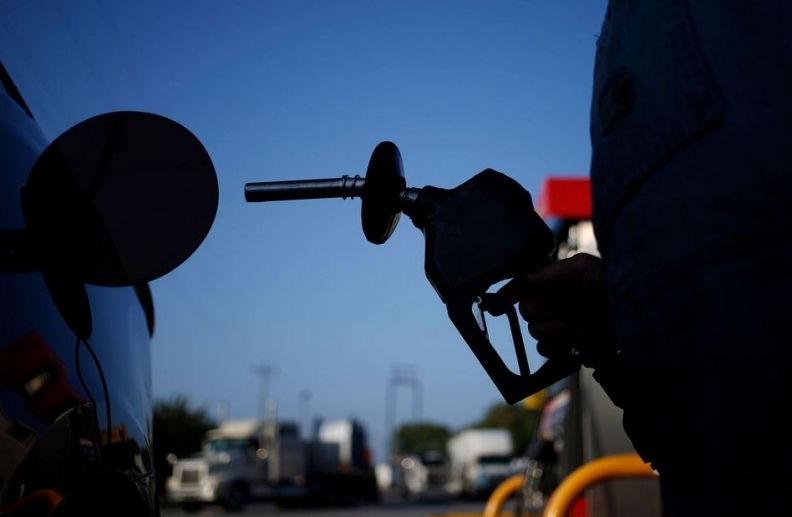 Overall gasoline prices in Canada rose 20.6 per cent, the biggest monthly increase since September 2011. The average price per litre at 18 major Canadian cities in January 2016 was about 93 cents per litre, according to Statistics Canada. In 2017, it was about $1.14. “I haven’t heard a lot of concern from dealers,” said Michael Hatch, chief economist at the Canadian Automobile Dealers Association. As the provincial taxes rolled out, Canadians continued their move to trucks. Sales of passenger cars declined 5.3 per cent last month while truck sales increased 5.8 per cent. Light trucks accounted for 70.8 per cent of total sales in the month. The Ford F-series pickup alone accounted for 60 per cent of Ford Canada's January sales — 9,303 units — a new record for the month and a five per cent increase over January 2016. Hatch said “there’s no magic number” at the pump that will force buying habits to change. But, he acknowledged fuel economy is “usually the No. 1 technical specification” people look at when considering a new vehicle. On July 1, 2008, the Government of British Columbia implemented a 2.41-cents-per-litre carbon tax. Seven years later, a record-breaking 207,000 vehicles were sold in B.C. in 2015. Hatch said it’s hard to isolate the effect a carbon tax might play in a car buyer’s decision. It’s impossible to gauge what consumers would have done had the carbon tax not been implemented.